The project was dealing with correction and actualization on the previous project documentation. The needed adjustments and actualizations of the primary school were based on current needs of the school that did not correspond with the original project. 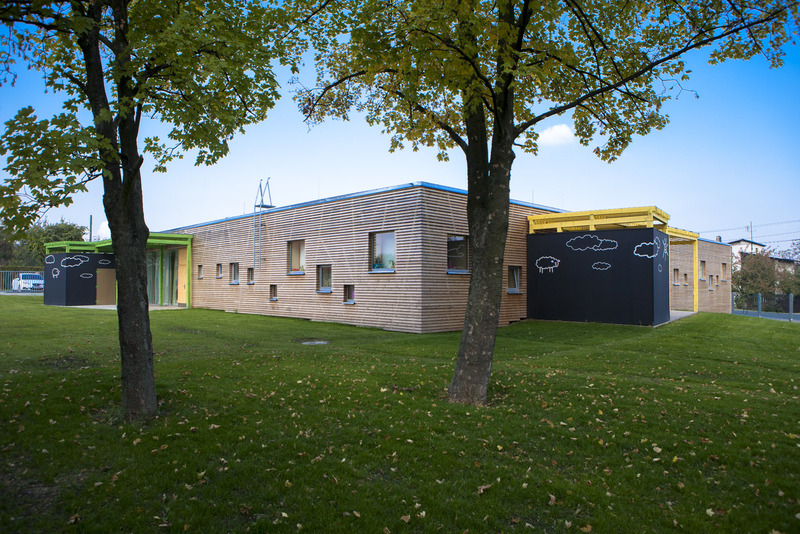 The adjustments of the primary school mainly contained an addition of a third floor and insulating of the whole object. When it comes to the dispositions, the classrooms, the facilities of the school stuff, the cloakroom and the after school club were relocated. 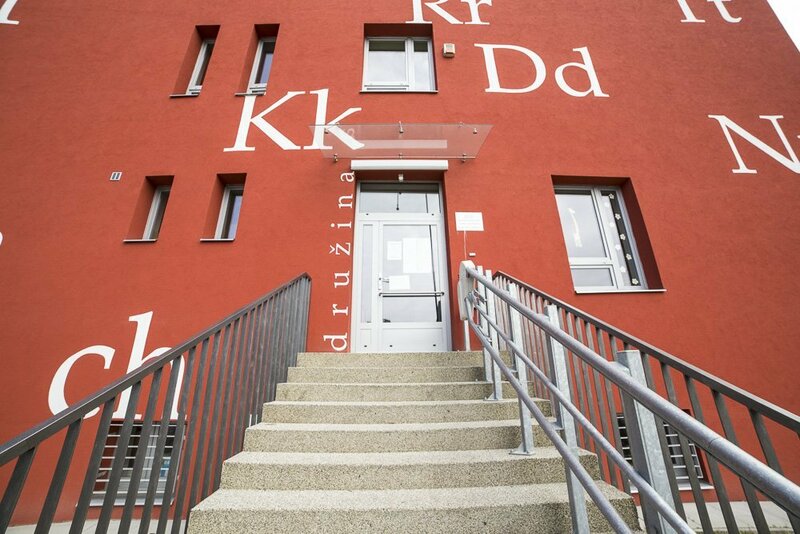 The artistic upgrade of the current primary school was carried out in a colorful decorative plaster on an insulation in a bright red finish. The mass of the additional floor is carried out in a light grey color to give off an airy feeling compared to the lower part of the object – a bright red facade. 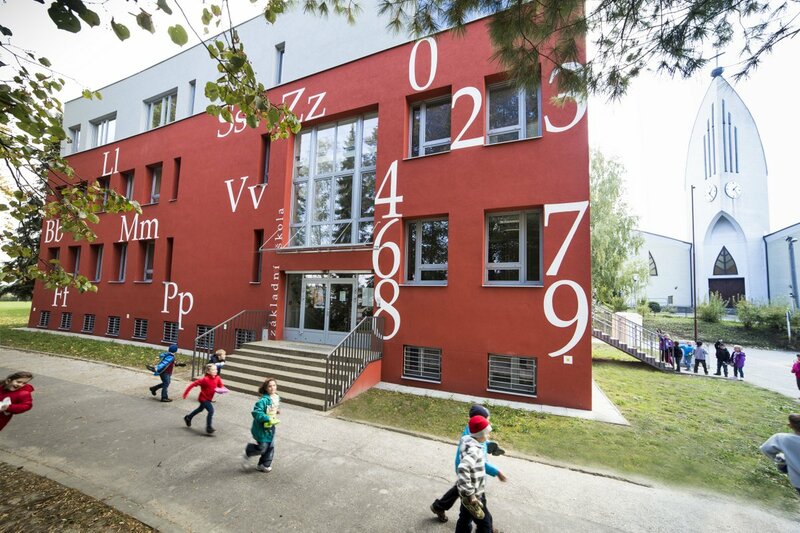 The bright red facade of the current first and second floor was complemented by numbers and letters irregularly placed on the facade painted in a white color.